Intense scrutiny is mounting among NSW hospital staff towards their workplace security and safety standards, after an acceleration of violent incidents and the exposure of an “under-reporting” culture. Hospital security and medical staff alike are putting the pressure on the government to do more about the lacklustre security policies surrounding issues such as training, cooperation, staff numbers and incident responses. 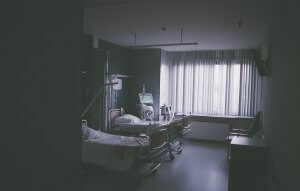 While violent incidents have been a pervasive issue in hospitals for years, the stories are beginning to accumulate more recently and have led some to believe that hospitals are becoming more dangerous than ever before. In 2014, eight people including five nurses were assaulted by a patient at John Hunter Hospital, then in September last year the same hospital suffered $50,000 worth of damage after a patient became violent. Also in 2014, a neurosurgeon was stabbed 14 times by a mentally ill patient at Nepean Hospital, nearly losing his life. A female patient at Lismore Hospital stabbed a man with a syringe late last year, and in August a nurse was injured by a male patient. This January, a patient was arrested after stabbing a man in the back at Royal Prince Alfred Hospital. A recent study by the University of Technology, Sydney found that 35 hospital staff had reported being sexually attacked, 60% had been grabbed or hit, 52% had been punched and 35% kicked, pushed or spat on. Just recently, a security guard at Wollongong Hospital was fired following a violent incident with a patient, sparking protests and serious concerns that security officers will now be afraid to confront an unsettled person simply because they might be fired. Commenting on the situation, another guard noted that often five police officers will drop off an unsettled person, leaving two security guards to handle them. Indeed, a wave of protests has caused disruption across the state. This year alone, staff at Tweed Heads Hospital, Wagga Base Hospital, Liverpool Hospital and more have rallied together to demand better security conditions, more staff and more training to combat these violent incidents. For some time, the Health Services Union (HSU) has been calling for a review and, more specifically, government support for an extra 250 security guards at NSW hospitals. The Unions NSW Secretary Gerard Hayes explained that the situation is “extremely serious” and feared the consequences if it was not attended to urgently. The NSW government responded to mounting pressure by launching a safety review late last year headed by former Health and Police Minister, Peter Anderson. Along with the review is a government investment of $24 million to go towards enhanced security measures such as upgraded CCTV systems, remote locking and duress alarms, as well as a social media campaign to tackle violence against health workers. While it has helped to expose the culture of under-reporting of violent incidents amongst medical staff, particularly amongst emergency departments, the review has mainly been criticised as too little too late. HSU’s Gerard Hayes claimed that the report was “another lost opportunity” for NSW hospitals. Among the 48 recommendations made were ideas such as a change in security culture, the introduction of safe spaces in emergency departments, and the possibility of security staff carrying batons and handcuffs. Notably missing, however, was support for HSU’s call for an increase in security staff numbers. It is too early to tell whether these recommendations, along with the government funding, will finally make a difference to this expanding issue. Looking at the history of such bureaucratic reviews, however, does not illicit hope. In February 2016 a Roundtable of health stakeholders and union representatives, headed by Health Minister Jillian Skinner, created a 12 Point Action Plan to improve the security of NSW public hospitals, endorsing it as a comprehensive strategy. However, in their recent submission to the Anderson Review, the NSW Nurses and Midwives Association (NSWNMA) found the action plan lacking. They submitted that it dedicated insufficient time to develop a robust plan, it failed to address the violence more broadly by choosing to focus on emergency departments, and it was poorly implemented due to the insufficiency in skills and resources that were made available following its release. Police determining that managing aggression within a hospital is purely the hospital’s responsibility and not theirs. Another element of the plan was to conduct audits of the emergency departments; this was mainly undertaken by Business Risks International (BRI) with other departments being told to conduct self-audits. The BRI report found that 75% of areas examined were only partially compliant with mandatory NSW Health policies. BRI then made 57 recommendations to the NSW Ministry of Health. Despite this, the NSWNMA asserted that “many security issues in emergency departments have not been rectified, and deficiencies remain more than two and a half years later”. The concerns and frenzy surrounding our hospital’s security and risk standards should act as an important lesson for all industries. With the number of incidents on the rise, and the government scrambling frantically to keep up with demands, the blaring message for businesses is that they must be proactive in developing, enacting and updating their security and risk strategies. What is more, a failure to utilise skilled professionals when conducting audits and implementing security strategies has been blamed by NSWNMA for the continued deficiencies. The association stated that “until such time as audits are undertaken by skilled professionals (in consultation with workers)…the NSWNMA has little confidence that [security audits] will see significant improvements in safety”. Other issues such as the level of access to and variability of training programs, the lack of clarity and coordination between different staff members and poor levels of post-incident support were explored in-depth and have important implications for most businesses. Issues like these are inherent and universal in the operation of a business, and they must be addressed by a structure of effective security policies and strategies. However, with such a rapidly evolving business environment and an increasingly fast-paced culture of work, it is easy to lose sight of your own risk profile. Out of date and out of touch security policies will catch up to your business sooner rather than later and cause unforeseeable damage. To avoid this, a business must ensure that they have robust and effective security policies in place. This requires the application of complex scrutiny and expert knowledge, the type that only security professionals such as Agilient can provide. Follow our LinkedIn page for all the latest security updates, and Contact Us to see how we can assist your business.